Although it's a bit out of the way at eight minutes' walking distance from Naka-Itabashi Station on the Tobu Tojo Line, the queue at this popular shop is endless. 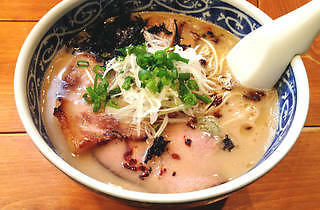 Try the tonkotsu ramen (¥650): extremely rich but also just mild enough that you can easily down all the creamy soup. The 100-percent pork-based soup, made from carefully cooked pig heads and feet, goes very well with the straight hand-made noodles. The made-to-order chashu pork is divine, and the fresh nori seaweed and finely sliced leek toppings have a refined taste. 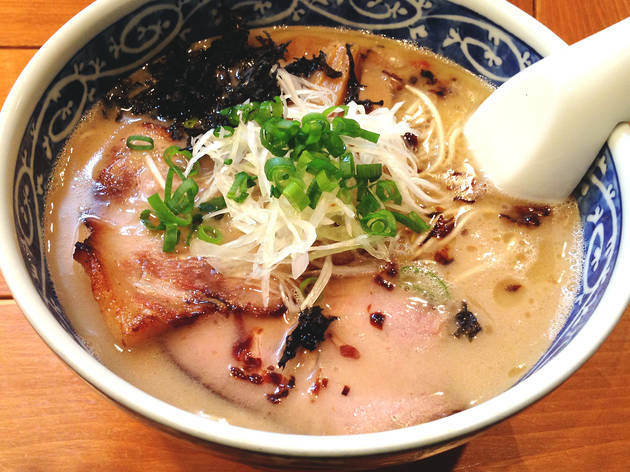 This shop has strived to stay faithfully on the righteous path of tonkotsu while still maintaining its own style – a stance that brings fascinating rewards.